Acclaimed artist Jeremy Collins has sought a life of adventure and authenticity. 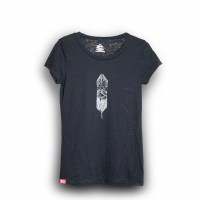 Celebrate the artist's spirit with the Meridian Lines Captain Bird Babe Tee for women. 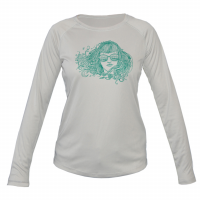 Featuring original Collins artwork, this tee is crafted from 100% cotton right here in the US of A.
Acclaimed artist and Mountain Gear friend Jeremy Collin produced the artwork that graces the women's Meridian Line Featherlite Tee. 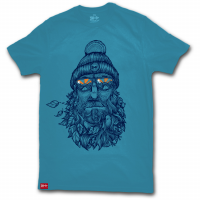 This cotton/poly blend features a long-lasting graphic with silver ink.